Store design today is an integral component in how contemporary retailers communicate with their customers. 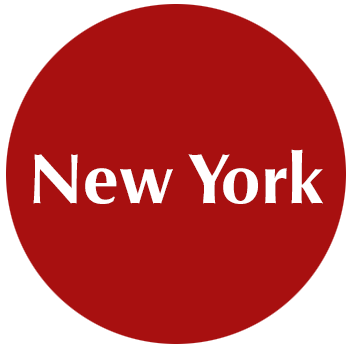 Given the power that online shopping now has, enticing shoppers to leave their computers to have a personal experience is essential. 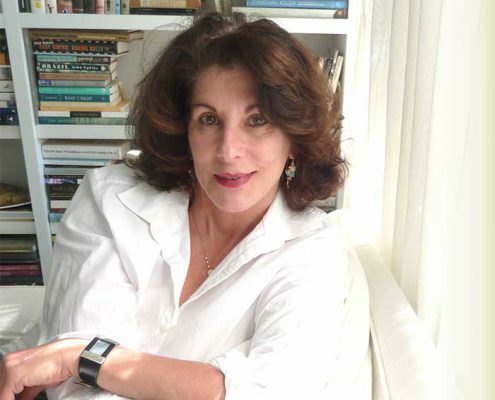 Especially with lifestyle-centric brands, where the message has to touch on many different areas, not only the product being sold. This means the environment is more important than ever before. 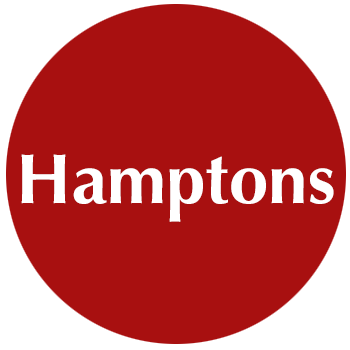 Achieving a strong visual merchandising program is addressed by the architect and interior designer, who will work with the merchandising team from the early stages of the plan being developed. 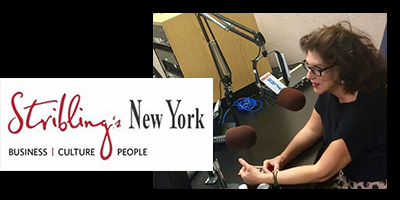 Architecture, branding, and selling are inextricably linked. The Ferrari Factory Store is located near Milan, Italy. 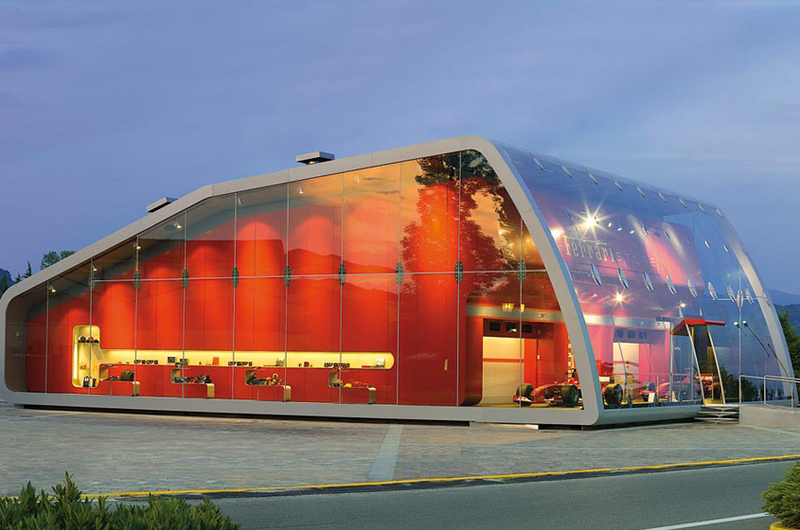 For the first time in the history of Ferrari Stores an entire building has been designed to accommodate the product. The building is positioned so that it’s one of the first structures visible from the main parking area and access roads; for this reason it was designed with an exterior that immediately identifies it as the brand – – ‘Ferrari’! 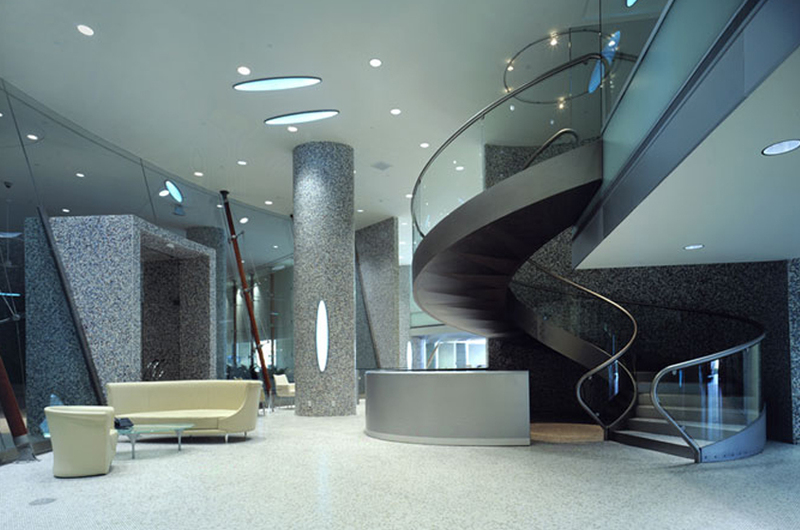 A dramatic stairwell in a luxury car dealership in Miami. The walls are clad in elegant mosaic tile. 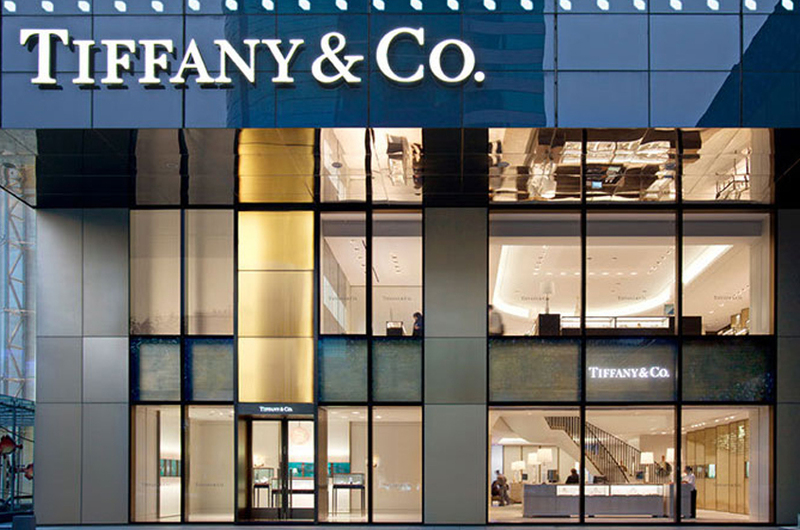 The facade of the Tiffany store in Shanghai. The two level stores was designed by one of the most significant architects/designers in the USA, with a firm based in New York. 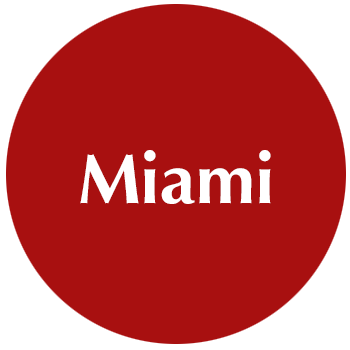 For a luxury car dealership in Miami the architecture need to support the sleek elegance of the brand. 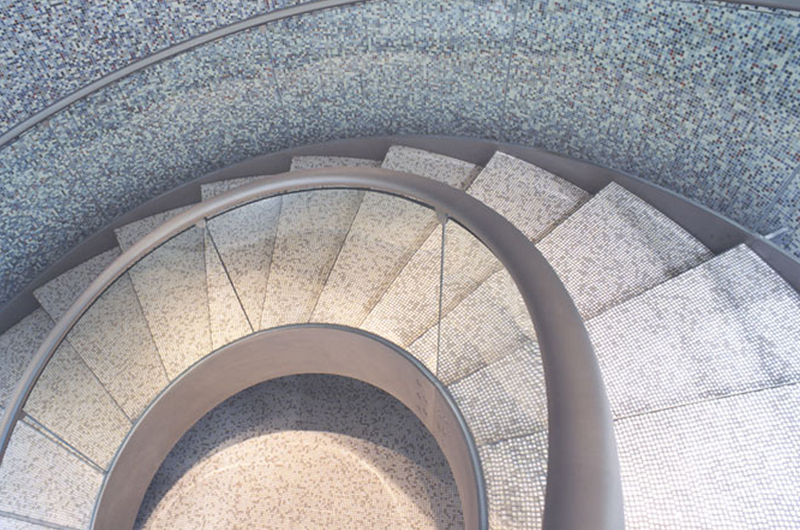 An esteemed Italian architect used luxurious materials and space planning to achieve a setting that would enhance the brand and be as distinctive as the Maserati’s sold here. 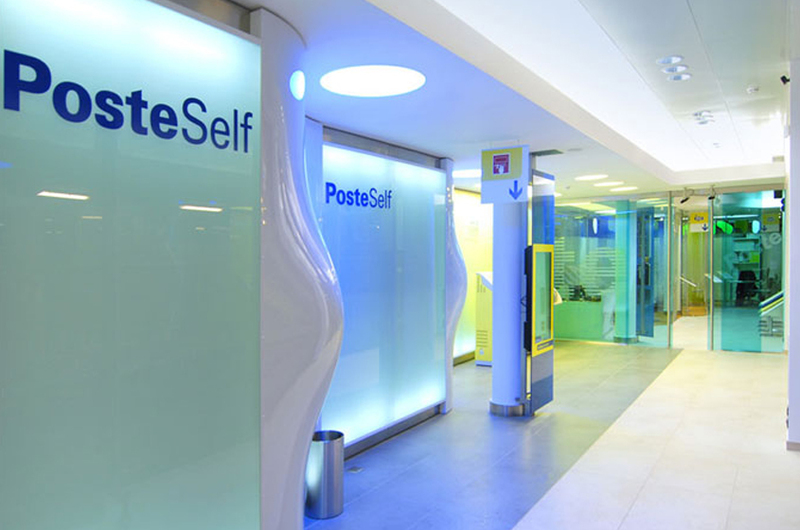 An Italian post office in Rome used soothing colors and unexpected curving shapes to make the experience a pleasant one for the patrons. Elegant jewelry needs an elegant setting. 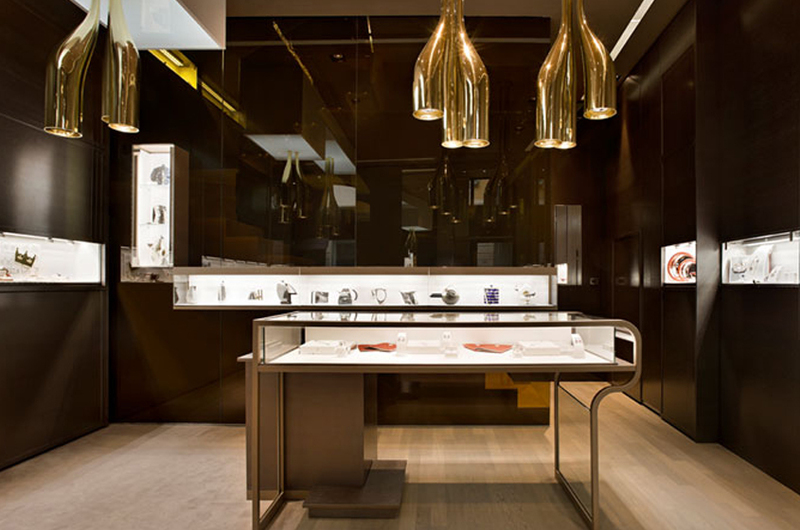 For the Faraone shop in Milan, the lighting, display cases, and every element was designed with great care to assure that the concept of quality was present. Interiors were created with traditional materials, including refined finishing, different woods with gray hues, amber-colored glass, brass and bronze-plated metals and leather for the chairs. The area is enclosed with panels of “boiserie” in molded wood setting the tone for the space. The squared lines of the crystal display cases meet and intersect, offering innovative plays of light and overlapping elements. 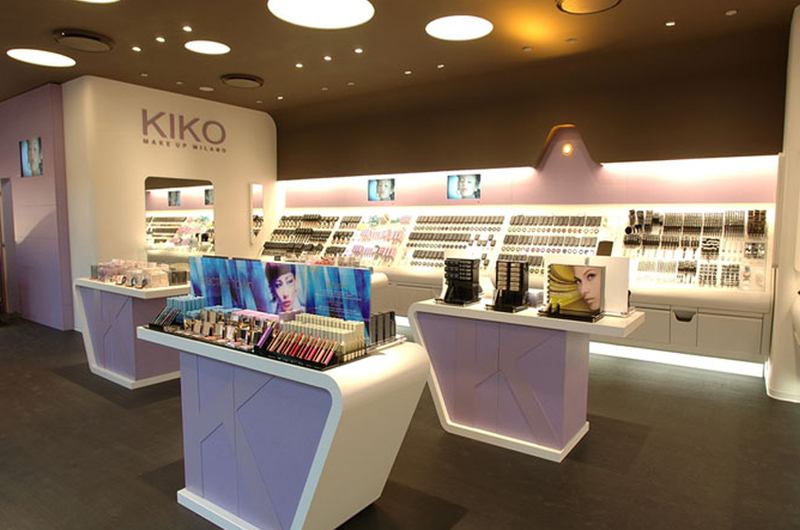 Kiko Cosmetics is a significant European brand, with 600 hundred stores. Here, our architect uses interestingly shaped display cases, and soft feminine colors, as always to enhance the brand identity, as well as make the consumer feel good during the shopping experience. Ferrari red is the cohesive design element along with curvilinear lines for displays, in the Ferrari shops worldwide, designed by an Italian architect. The dramatic stair way faces the street, becoming an important element in the facade, in New York City. 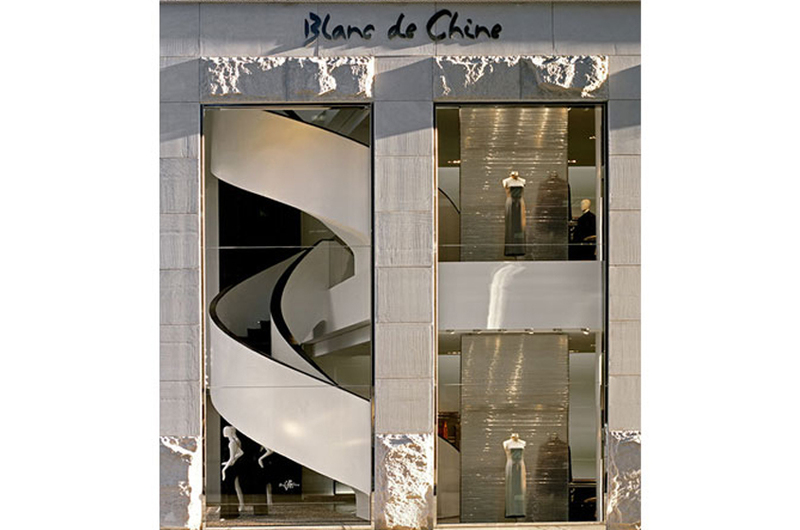 This chic and elegant store was done for the brand Blanc de Chine, by a New York based design and architecture firm. 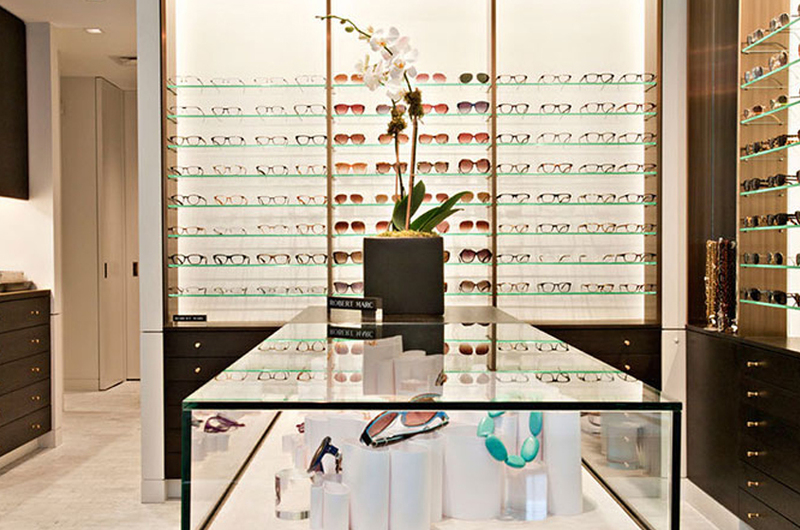 For a simple, yet casually elegant eye glass shop in New York City, custom made display cases were inspired by a mid-century modern look. The floor is white Carrera marble. The back wall becomes an interesting graphic element at the same time it is functional. 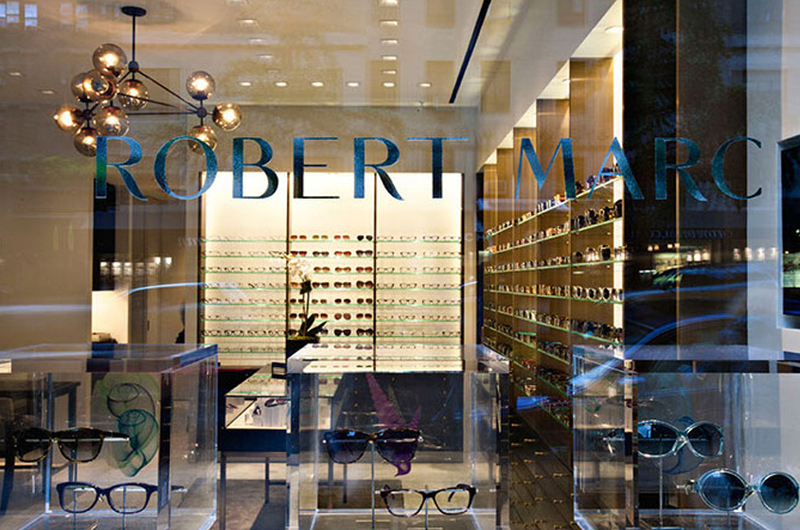 Robert Marc, an elegant eyeglass shop in New York City. 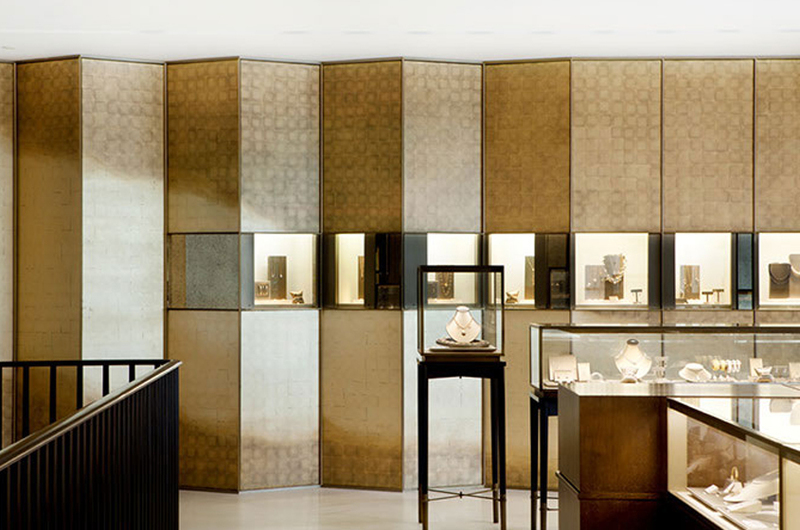 A translucent and textured glass wall, with vertical bands of bronze, is a striking design element in the Shanghai Tiffany & Co. store. Here, the horizontal band contains glass vitrines for displaying their elegant product. In a TempurPedic store, individual pods are create for testing out the mattresses. Surrounded by sheer fabrics, soft music and lighting, the customer may lie down and indulge in brand experience. 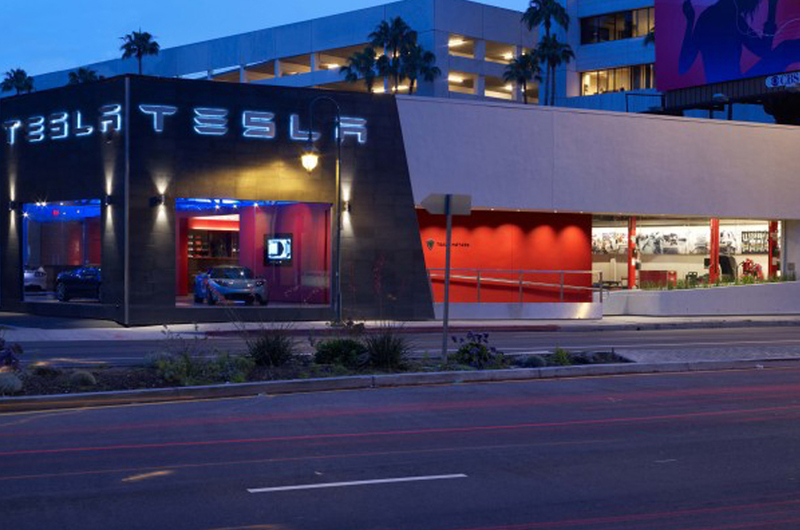 Tesla Motors flagship first opened in Santa Monica in 2008. 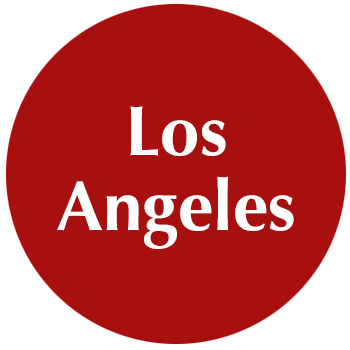 The Los Angeles location is housed in a pair of recycled buildings, where the architect created an efficient, gallery-like setting to showcase and service the cars.